Thanks to AgileNEXT team – Daniel Gullo and Stephen Forte – for recording a podcast with me at Scrum Gathering. Scrum Master as Agile Coach, Kaizen in Scrum, Agile Brands and Scaling, Community Involvement, and finally my new book The Great Scrum Master which was published by Addison-Wesley Signature Series (Cohn) in January 2017. 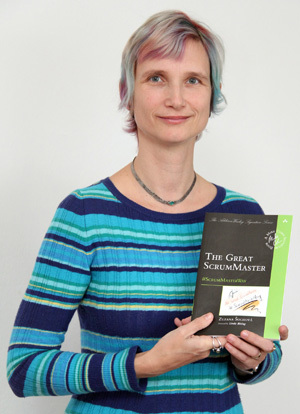 At the beginning of the last year I finished my new book called The Great ScrumMaster: #ScrumMasterWay. At first I self-published it and the book was available for Kindle at Amazon and as a limited series in full-color printed version. I was very happy to see that the book was selling well and also that I got an excellent feedback from readers. My excitement was even bigger when Mike Cohn, one of the Scrum legends, accepted my book into his Addison-Wesley Signature Series (Cohn) and the book was published by this excellent publishing house in January 2017. Thanks, Mike. It was a lot of work and I’m really pleased to work with so many great professionals from Addison-Wesley (editors, graphics, language corrections) to achieve such a wonderful result – the book which I have now finally in my hands. It was a long journey for me to embrace Scrum and write this book. Ten years ago, when I joined my first Scrum team as a developer, I didn’t like it much. It was an awkward way of working, I thought. I was just as resistant as most of my current clients who are at the beginning of their Agile journeys. It was something new and different. And however hard our Agile coaches tried to explain it, I didn’t really get it. Six months later I was appointed to the ScrumMaster role. Lacking any other experience than as a team leader and developer, I ended up being a “Scrum team assistant” and a bit later a “Scrum team mom.” It took me a long time to realize why Scrum is so powerful and that it is all about the ability to enhance self-organization. After coaching many ScrumMasters at companies and teaching a lot of CSM and CSPO classes, I can say that an answer like “Move to another team,” “Do nothing,” or “There will always be some work needed” is not good enough. ScrumMasters are lost in the same way I was lost at that time. 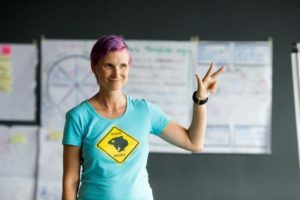 It has never been so easy to become a great ScrumMaster, so let me invite you on the journey and you can learn from my experience and mistakes. This book is the best starting point to embrace the ScrumMaster role. I hope you will enjoy reading it and will find it useful and easy to apply in your work and that you will become a great ScrumMaster too. Finally, I would like to use this opportunity to thank Linda Rising for her nice words in foreword. Does that all makes you curious? 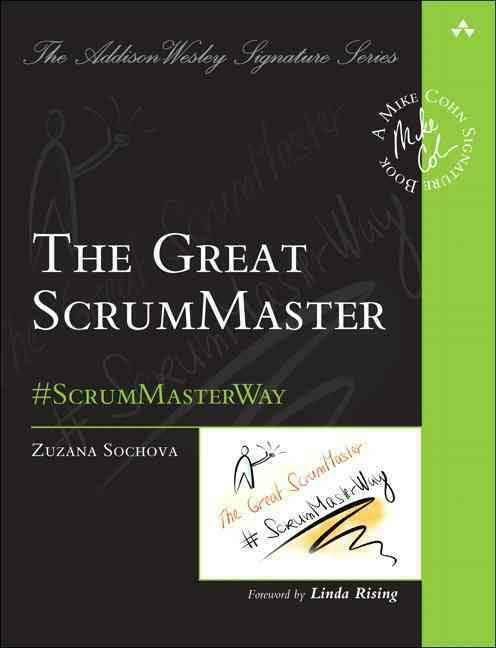 You can find more details at dedicated book pages greatscrummaster.com. The book is now available at Amazon, InformIT, and Barnes & Noble Bookstore to name at least the few most famous sites. I hope that you would like it. 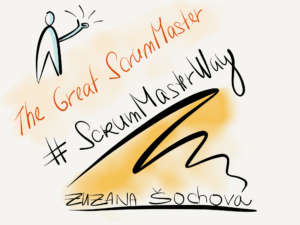 I appreciate your comments and reviews and if you like it, please help me to make other ScrumMasters great by recommending it to your friends and colleagues!